Manchester City are always thinking long-term and that includes a day when iconic striker Sergio Aguero, 29, will no longer be at the club. El Kun has made it clear that he would like to return to his beloved Independiente in Argentina upon the completion of his City contract, at which point he will be into his 30s. And according to Dean Jones of Bleacher Report, Txiki Begiristain and Pep Guardiola are already planning ahead with as many as five top forwards on a list of potential successors to Aguero. A player City looked at signing when he played in the Argentine second division, Paulo Dybala of Juventus, is high on that list, with the 24-year-old making a big name for himself in Serie A, firstly with Palermo and then Juventus. Dybala is different to Aguero but stylistically would suit Manchester City, and could play with or rotate with Gabriel Jesus, the other forward at the club who will be around for many years to come. City would have to pay an enormous transfer fee for Dybala, well in excess of £100million, with Juventus always a club who hold out for top dollar, as Manchester United found out when they re-signed Paul Pogba from the Old Lady. However, Juventus’ stance has always been the same – if a player wants to go, they will let him go… for the right price. And Dybala could welcome the attentions of Pep Guardiola, a coach who is hard to turn down, and Manchester City, a team he has thought highly of for a number of years. Dybala (Palermo): "When I play with the Playstation, I always choose Barcelona or Manchester City. I dream to play with one of those clubs." 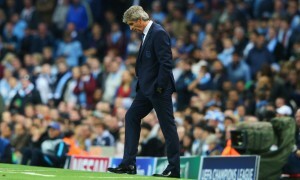 Manuel Pellegrini’s biggest transfer mistake as Manchester City boss revealed?